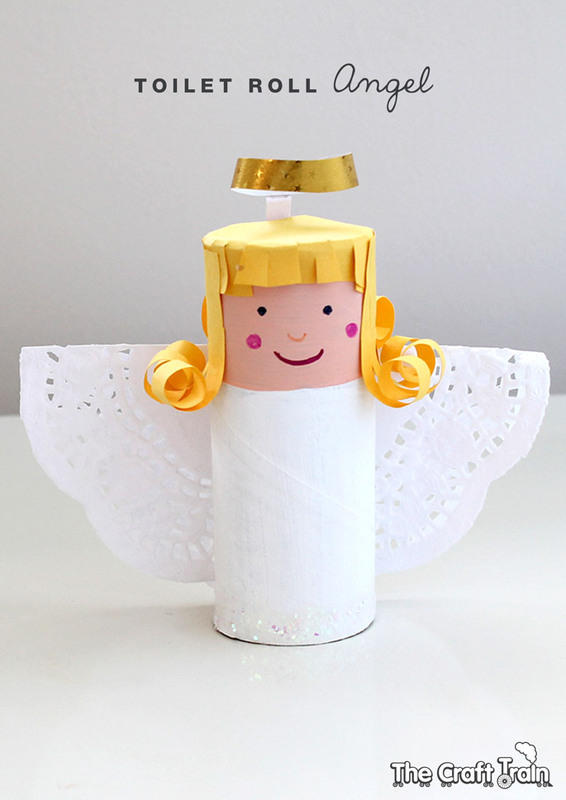 Make an adorable paper roll angel – a run upcycling craft for kids! 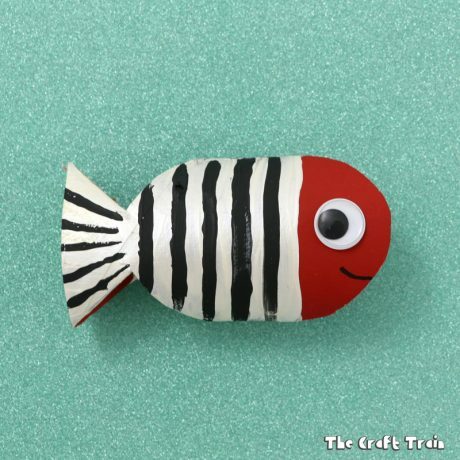 We love angel crafts here at The Craft Train and have quite a few in the archives already, but there’s always room for one more don’t you think? 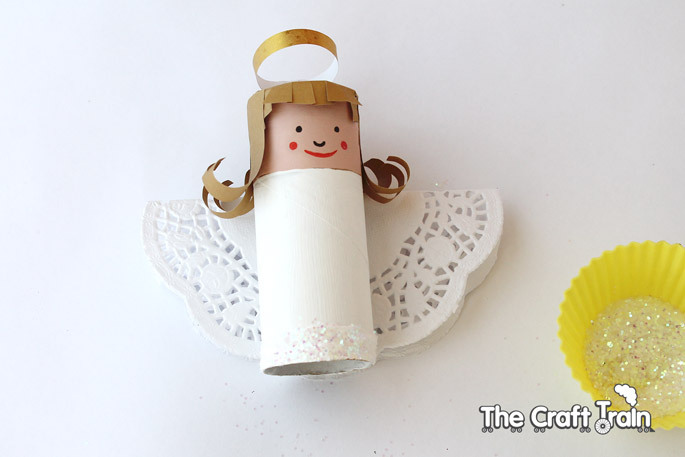 This angel is super-simple and you get to upcycle an empty paper roll in the process, so that makes it even better! 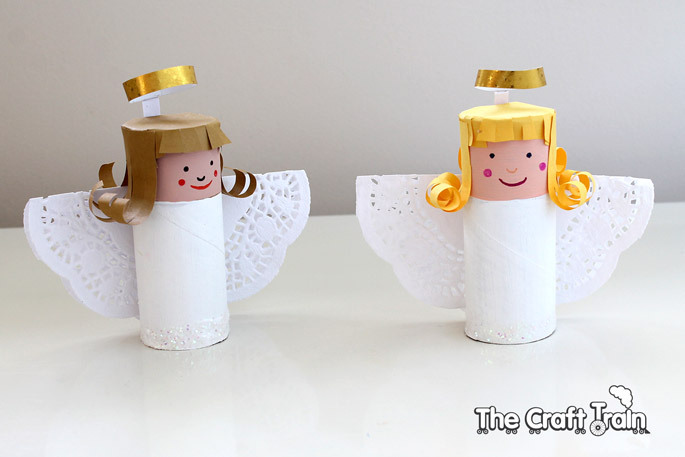 Toilet roll angels are a classic Christmas craft, you may well have made one before with your kids or when you were a kid yourself. 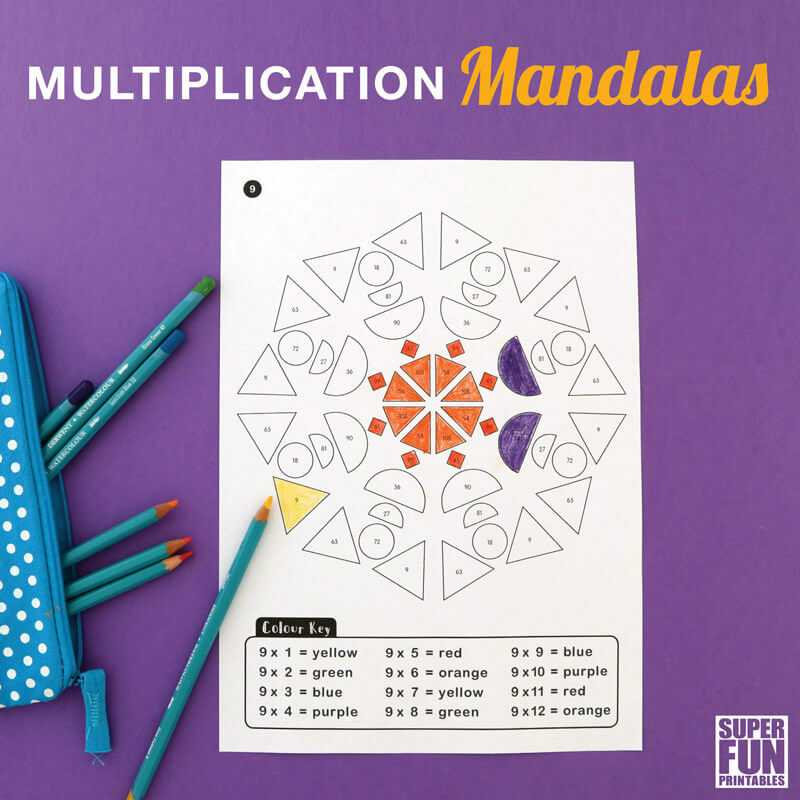 Our version uses paper doilies for the wings, but if you don’t have those you can just cut them out of paper or card stock – anything goes really and there are no rules. As always, there is plenty of room for creative license to make this little angel your own. 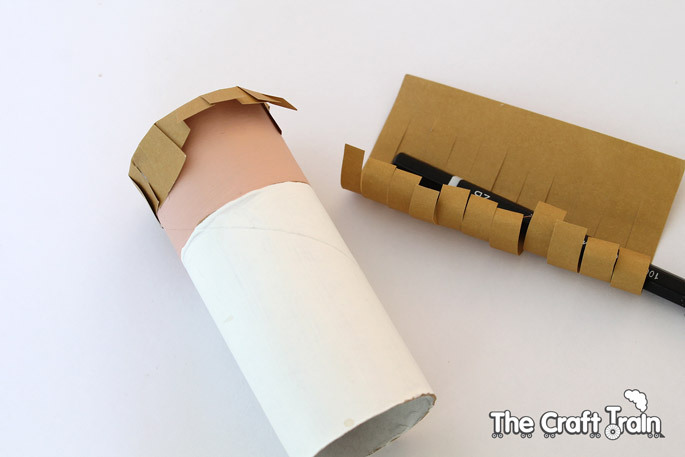 Paint your paper roll white on the bottom two thirds for the dress and skin-coloured on the top third for the head and allow to dry. 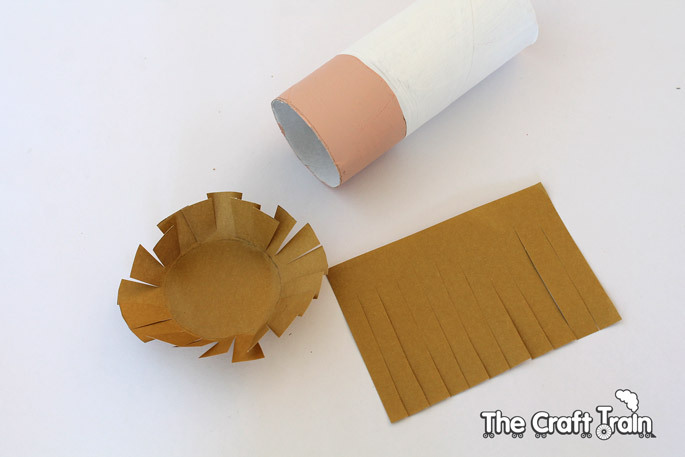 To create the paper hair you will need two sections of paper as shown below. 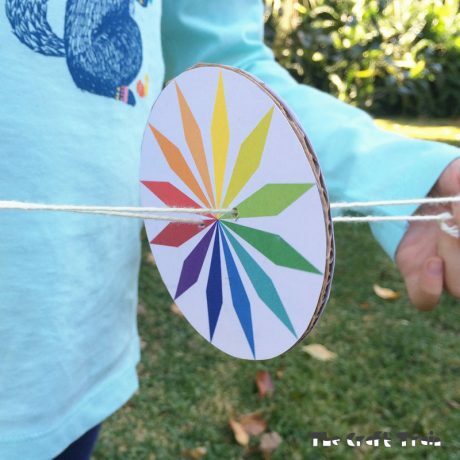 Trace a circle around the top of the toilet roll onto paper with lead pencil to give you the right shape for the top of the head, cut about a centimetre of extra space around this and fringe it up to the circle you have traced. For the second section cut a rectangular strip of the same colour paper and then fringe it as shown below. Hold it up for size to the face you have created to get the length right and cut to fit. Stick the top piece on first, and then curl the longer pieces around a pencil to get the cute angelic curls before sticking it on. Draw a face on with your sharpies, glue the doily to the back folded in half for wings and glitter the bottom edge of the dress. The halo is a small strip of gold metallic paper glued into a circle and held in place over the top of the head by a small strip of white card. 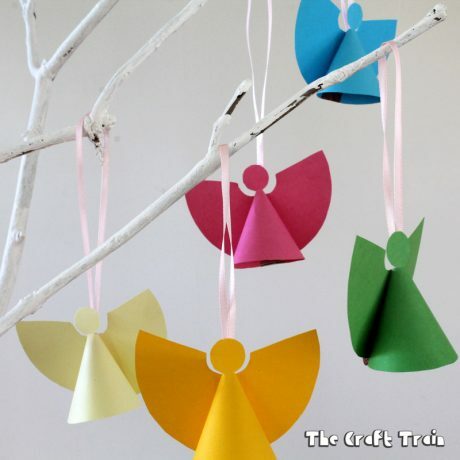 Allow it to dry and you have your angel – simple but lovely! 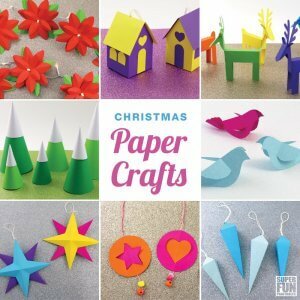 You can also find loads more ideas on our Christmas crafts board on Pinterest. Are you following us? 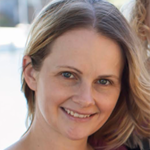 When my children were small I couldn’t bear to throw away tp roll or paper towel empties. I would find crafts and call their teachers. 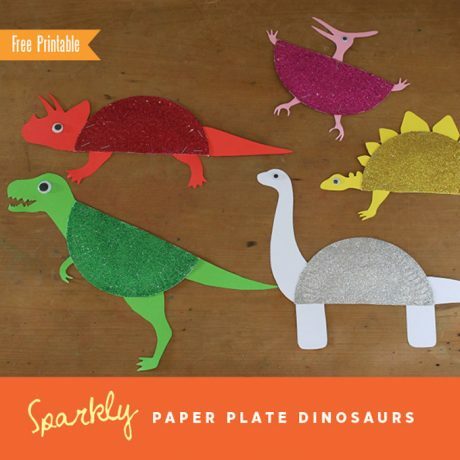 So happy to see you recycle these wonderful paper remnants into creatures of delight! I know, throwing them away is such a waste of a great and useful craft material isn’t it? 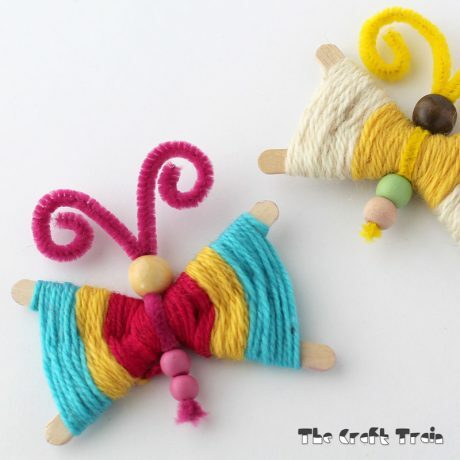 I guess now is the time to get my hands busy with handicrafts! 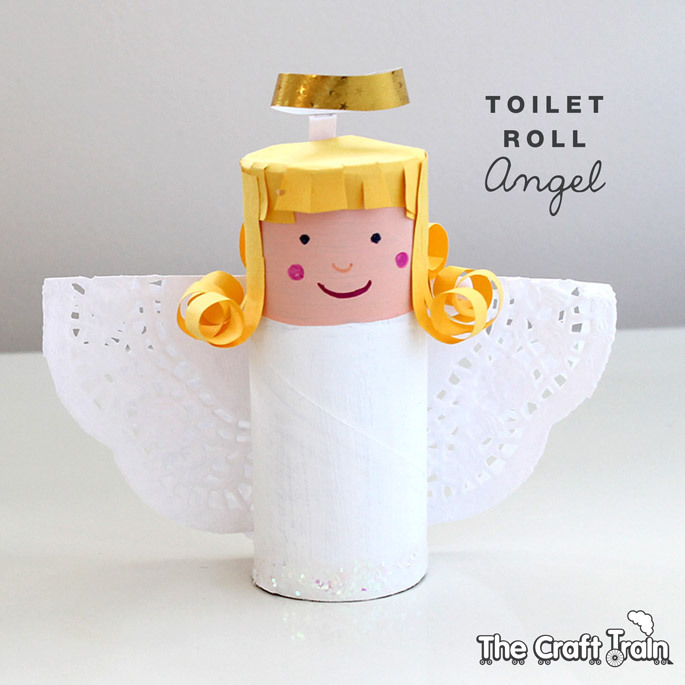 Who would’ve thought that that adorable angel is made from a toilet roll. That would look really good when hanged to a Christmas tree. Since Christmas is still far away, I’ve got plenty of time in my hands to prepare. Who says Christmas decorations should be expensive? That’s the beauty of handicrafts. I will definitely involve my little sister on this. Thanks for this awesome idea. My pleasure, glad you like it!